Safeway Industrial Services is committed to providing Industry with safe and cost effective solutions to managing both hazardous and non-hazardous waste material, as well as specialized industrial cleaning processes and transportation. We have recently made a thrust in the market with our universal waste recycling division. With over 25 years of experience in our field, Safeway brings to the table trusted knowledge, well trained employees and phenomenal customer service. We are a multi-faceted company offering a variety of industrial service solutions to environmental issues. Safeway Industrial manages wastes for some of the largest corporations in the United States and our insurance exceeds most requirements. 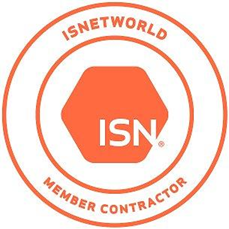 We maintain a high grade with ISNetworld, representing many of the country’s most exacting companies. We understand that responding promptly often makes the difference between continuous operation and costly delays in production. From Field Services and Guidance to Waste Disposal and Transportation; Safeway offers your company environmentally sound, dependable solutions. Your Information Is Secure & Never Shared!